There is more to the current war of words between North Korea and the US–South Korea alliance than sabre-rattling. After its northern neighbour conducted its most powerful nuclear test yet, triggering a magnitude 5.3 earthquake in the process, South Korea promised to ‘annihilate’ Pyongyang if there is even a hint that its neighbour is about to begin a nuclear war. A tense and beleaguered South Korea is now preparing for what it calls a ‘worst case’ scenario. But how realistic is this potential future? North Korea seems to be edging ever closer to its long-term goal of mass producing nuclear warheads. A deadly cat-and-mouse game is underway, one which is starting to resemble the Cuban Missile Crisis of October 1962. But the Korea crisis of today seems even more dangerous, because we’re talking about the potential for both nuclear and conventional warfare. The border between the two Koreas is the most militarised place on earth, heavily lined with missiles. In addition, the United States Forces Korea (USFK), under the United States Pacific Command (USPACOM), has about 28,500 American soldiers, sailors, airmen and Marines stationed in South Korea. This situation could get very messy indeed. A confrontation could easily be triggered. Once again, the world is on edge as it was back in 1962. From our vantage point in the West we can see that North Korea is trapped in a time-warp, a kind of living museum of 1950s style Cold War socialism. I believe that North Korea is a state on the edge. Its collapse is almost inevitable, but the form it will take is less clear. The current dictatorship cannot last, in fact, I see North Korea becoming a colony, or puppet state, of China (more on that later). This colonisation could prevail until the new Asian superpower has evolved into a freer civilisation and ceases to see the US as a major strategic rival in East Asia. When this region is no longer the flashpoint of economic and ideological competition between a waning but powerful global empire – the USA – and the rise of China, the two Koreas will finally be reunified like Germany was in 1990. Korea will then be truly free for the first time since Japan annexed it in 1895. So where is the evidence for this scenario? The idea of North Korea imploding is plausible. In fact, the country almost collapsed completely in the 1990s after the fall of the Soviet Union. It only survives today because it offers a convenient buffer state for China against American military presence in South Korea, Japan and Australia. By looking at Korea’s history we can get a glimpse into the future of the country. At the time of the partition of Korea into North and South Korea, the former was largely industrial and the latter agrarian. While South Korea advanced in the intervening decades into a leading Asian Tiger economy, its northern counterpart descended into a dystopia begging to be captured on celluloid. It is a story of two Koreas: to the north, economic decline of an industrial society brought about by an energy crisis coupled with ecological degradation, and, to the south, economic prosperity and technological innovation catapulting an agricultural society into the twenty-first century. The fact that North Korea fell so hard after the collapse of communism shows the extent to which this small nation has relied upon foreign supplies. Since the Korean peninsula as a whole has little oil and gas of its own, communist North Korea depended upon the Soviet Union for its industrial energy needs until that Union broke up at the end of the 1980s. Then North Korea lost the bulk of its supply of energy to run its industries. In 1990, for example, it had imported 18.3 million barrels of oil from Russia, China and Iran. Then, abruptly, its imports from Russia fell by 90%,  a catastrophic depletion. Since modern agriculture depends upon fossil fuels almost as much as modern industry does, North Korea’s energy crisis was bound to lead eventually to a food crisis. Famine struck the country in the second half of the 1990s. During this period, mass starvation literally decimated the population – about 10 per cent died. This must have been a terrifying time for the nation. Even today, around 6.5 million of the state’s 23 million people are dependent upon food aid from the UN’s World Food Program (WFP). The agency reports that 37 per cent of children and 32 per cent of women in the country are badly malnourished. So behind the façade of television broadcasts of military pomp and power, North Korea is, in reality, a depleted society unable to properly feed its own population. 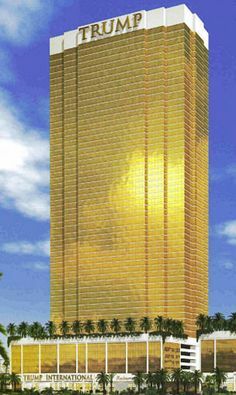 It is at least half-way along the road to destruction. It has undergone an industrial and agricultural collapse from which it will never fully recover unless it modernises its society and economy. The dilemma for the authorities in Pyongyang is that such a modernisation process would lead rapidly to the demise of its totalitarian political system. The CIA World Factbook places North Korea 194th in the world according to its GDP – per capita (PPP) of $1,800. It also has a high external debt rate and very weak domestic energy stocks and production. With industrial energy being a driving force of long-term economic growth, the chances are very low of the country undergoing a strong enough economic recovery to buy the time needed to break out of its current political time-warp. Politically isolated and cut off from modern society and from globalisation, as well as from the world’s considerable knowledge base, North Korea’s economic prospects are, indeed, poor. Veiled in secrecy, the country, tightly controlled by a dictatorship backed by the military, is in chronic lockdown mode. Looking at North Korea’s current situation I am reminded of how the Maya civilisation declined as a result of a combination of energy shortages, food crises, natural disasters, ecological deterioration and a political vacuum. Inappropriate, rigid leadership, which was unresponsive to the root-causes of its national crisis, played a significant role in the Maya collapse. It is going to be a key element of North Korea’s future fall. The country’s totalitarian military dictatorship, which hosts about 200,000 political prisoners, seems more interested in developing its nuclear weapons programme than in feeding all of its people. The state first allocates fuel to the military and then lets the other sectors – agriculture, transportation and industry – compete for the remainder of the limited fuel supplies available to the country. Economic progress in today’s highly competitive global world is impossible under such repressive conditions, as China discovered. Pyongyang’s inverted logic shows there is a vacuum of leadership in the country. This is a major factor in collapses of social systems, from the Maya society to modern-day Egypt and Libya during the recent Arab Spring. Kim Jong Un, portrayed by the Western media as an ‘atomic crackpot’, is incapable of reforming the North Korean state. His brand of totalitarianism relies upon indoctrination and keeping the public ignorant to perpetuate the dynasty’s absurd state personality cult. This, in turn, makes education and information the true enemy of his state. Governance based on public ignorance cannot be sustained indefinitely in an era of globalised internet and mobile communications. The government has been known to mete out severe punishments for citizens using mobile phones or making unauthorised international phone calls. However, as evidence from former communist European states demonstrates, information, from radio, internet and books and magazines smuggled into the country, will invade North Korea. Education will infiltrate North Korea. Freedom will conquer North Korea. This small state cannot hold indefinitely against the forces of global technology revolutionising society across the planet. Furthermore, when leadership is so globally isolated, it cannot solve global problems like climate change, environmental degradation, famine, disease and, of course, recession and government debt. 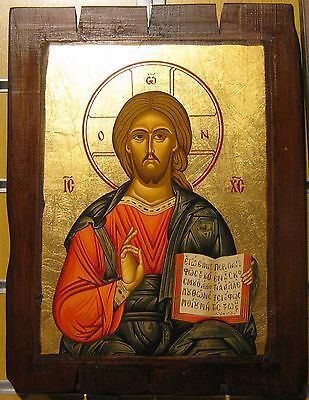 This produces paralysis in the face of these borderless crises. So often, it is the failure of leadership which allows economic, environmental and social decline to tip over into outright disorder and bankruptcy. The Mayan civilisation broke down as a result of its over-consumed, exhausted resource base, which increased competition for resources and created internal conflict. Degraded, deforested land such as we see in North Korea, becomes more vulnerable to climate change, which, in turn, further damages the soil and its fertility, leading to worsening droughts and decreased food production. This, in turn, further aggravates competition for resources, leading to social conflict. Social conflict then makes it harder for the kind of collective, co-operative action required to solve the deep-seated socio-ecological dilemma. Decline then slides down into disintegration. From a systems point of view, such destructive feedback loops are difficult to solve even by governments with high competence levels. This kind of collapse is what happened to the Maya. Unfortunately, this is likely to happen to the North Koreans, too. To understand how this might unfold, it is important to list disaffected groups and ‘voiceless’ citizens who might take part in any Korean Revolution. Thousands of North Korean defectors in China and South Korea itself (it is estimated, for example, that there are about 23,000 North Koreans who have made it via China to South Korea). Data is not available regarding the numbers of all these groups but it seems reasonable to assume there will be hundreds of thousands of North Koreans, perhaps as many as a million or more, willing to take part in any storming of the Bastille-style political uprising. It would only take some catalytic force, possibly the next inevitable famine or a leadership power struggle, to release the pent-up, long-repressed anger of these masses and groups. Which brings me to my concluding question: what effect will North Korea’s collapse have on the rest of the world? Will the regime go quietly or try to take others down with it? I strongly expect social, economic and environmental problems to escalate in North Korea until the country reaches breaking-point. Either this tipping-point will prompt war against an external enemy, since there’s no stronger unifying force for a failing nation-state than to fight against a foreign threat, or it may prompt some woefully belated economic reform measures from its rulers. As in Russia in the 1980s, when glasnost and perestroika increased, rather than deflated, the revolutionary fervour of the Russian people, such desperate North Korean reforms will only serve to release repressed, large-scale social tensions and the population’s widespread yearning for freedom. At that point, well before 2030, a groundswell of opposition will build, spurred on by the North Korean underground liberation movement and other alienated groups, as well as by the international community. As the state begins to collapse, China, pre-empting the UN and the USA, is likely to intervene from the North, in the guise of a peace-keeping force, to end North Korea’s revolution. A new era will begin of the military occupation of the country as it becomes a colony of the Asian super-power for the following few decades. The upside of this occupation is that it will inaugurate an overdue modernisation process analogous to China’s own economic revival. At this stage, it seems more probable that North Korea would opt for war as a strategy for holding itself together rather than reform. If a war does, indeed, unfold it would become clear at some point to the generals and soldiers of this tragic nation that they were facing certain defeat. Then a revolution could break out aimed at toppling the country’s government to stop the national suicide. Despite this bleak outlook for North Korea, there is space, in the long-term perspective, to dream as well. For the likely time-scale for a joyous reunification of a free and democratic Korea is sometime between 2050-2120. Diamond, Jared. 2005. Collapse. Allen Lane, Penguin Group, Victoria, Australia, 2005. Haupt, A and Kane, T. 2004. Population Handbook, 5th Edition. Population Reference Bureau. Washington, D.C, 2004. Pfeiffer, D.A. 2006. Eating Fossil Fuels. Gabriola Island, BC: New Society Publishers. Spodek, J. 2011. Understanding North Korea: Demystifying the World’s Most Misunderstood Country. At the end of World War 11, North Korea and South Korea were partitioned by the victorious Allies to suit their strategic plans. Eating Fossil Fuels, by Dale Allen Pfeiffer (New Society Publishers, Gabriola Island, BC, Canada, 2006, p.43. One of the occupational hazards of being a futurist is worrying about things long before they happen. One aspect of the future that worries me a lot is how ill-prepared we are for coping with the continued acceleration of the role of Artificial Intelligence (AI) in the economy. Just as humans once outstripped animals in the race to dominate Earth, due to our superior brainpower and use of tools, the danger now exists that homo sapiens will fall behind supersmart machines and AI systems in terms of overall efficiency. On top of that, the coming rise of cyborgs, technology-enhanced and AI-enabled humans, could lead to an intelligence divide between them and us which would be even more serious than the digital divide currently prevailing in the field of economic competitiveness. While the mass media gradually dumb down human culture to about the level of sentience regularly exhibited on the Jerry Springer Show, and while human thought is increasingly fragmented and trivialised by social media like Twitter, celebrity gossip and media-propagated groupthink, and while the once great democratic institution of investigative reporting is reduced to Murdoch-style commercialised and “embedded” journalism, AI is slowly and silently developing much greater capacities which enable its systems and networks to control the main levers of society, from stock market trading to traffic control, from production systems to communication networks. Automation is progressing at the speed of sound, from ATMs and kiosks to drones, from the Google search engine to the Google self-driving car powered by its Google Chauffeur software. In space exploration, automation dominated from the beginning, with Yuri Gagarin becoming the world’s first spaceman thanks to an automated rocket system called Vostok 1 which carried him into orbit. The truth is, human intelligence is not advancing in today’s post-modern culture, while artificial intelligence is. We need to recognise that there are diverging trajectories of development here. One day, friends, around mid-century, we might wake up in a society controlled almost exclusively by computer programmes, automated systems, IT elites and cyborgs, with humanity, at large, reduced to a pale shadow of itself as a declining subspecies. Machines and AI systems are already enjoying a spectacular ascent to prominence in today’s economy, taking jobs once carried out by humans. We are entering a phase in which robots and AI systems will take over more sophisticated jobs than those on the assembly-line – receptionists, clerks, teachers, lawyers, medical assistants, legal assistants, pilots, and even so-called “expert systems” like those in the medical profession which can help doctors diagnose diseases like diabetes. In finance, a variety of jobs from loan officers to stockbrokers and traders are being computerised and automated in the coming new world of cyber finance. Finance, it seems, is increasingly reliant on AI and incredibly fast and powerful computers, based on algorithms which can analyse and execute trading deals according to mathematical models. Clearly, what computer programmes and systems can do is now moving inexorably up a chain of sophistication and complexity. Eventually, one imagines, what can be automated, probably will be – due to the relentless competitive pressures for efficiency and efficacy which prevail in society. Research done by Oxford University predicts that 47% of the human workforce could face replacement by computers. Let’s briefly revisit what we mean by the terms Artificial Intelligence, the digital divide and, now, the Intelligence Divide. Apparently, Artificial Intelligence, a branch of computer science which investigates what human capacities can be replicated and performed by computer systems, was a phrase coined in 1956 by John McCarthy at MIT. This field includes such aspects as programming computers to play games against human opponents , robotics, developing “expert systems” and programming computers for real-time decision-making and diagnosis, understanding and translating human languages (the ability for artificial “talk” or speech), and the area of simulating neural processes in animals and humans to map and imitate how the brain works. The digital divide refers to the gap between those who have access to Information and Communications Technologies (ICTs), especially the Internet, and those who don’t. In effect, the digital “have-nots” are those billions living in poor and deprived social conditions who don’t have the education and skills to know what to do with digital technology and internet even if they did have access to them. The Global Information Technology Report 2012: Living in a Hyperconnected World , published by the World Economic Forum, found that the BRICS countries, led by China, still lag significantly behind the ICT-driven economic competitiveness. In 2014, The Organisation for Economic Co-operation and Development (OECD), looked into the role of education in cementing the global digital divide. The organisation concluded that in many countries, large parts of the adult population have non-existent or insufficient ICT problem-solving skills. For example, they reported, “Between 30% and 50% of the adult population in Ireland, Poland and the Slovak Republic fall into this category.”  Yet, as advancing societies become more knowledge-intensive, a growing number of jobs require at least basic ICT skills. But the digital divide in the world, based on both access to ICT and the education skills to know how to use it, is only the precursor of an Intelligence Divide (ID) which, ultimately, could become an even deeper social fracture than racism has been in the world. The Intelligence Divide would be the growing gap between what human intelligence can do without computer power compared to what AI systems, computer programs and AI-enabled humans, including cyborgs, achieve across a range of intelligent activities including thinking, calculating, decision-making, perceiving, communicating and organising. The divide would be measured in terms of ratios of efficiency and effectiveness for the same activity performed respectively by humans and AI systems and cyborgs in any given social context. Whether or not a deep Intelligence Divide develops, an Intelligence Race is already underway on the economic front between humans and AI. This race is not about whether a computer can beat a human chess champion but about which jobs can be done better, and more efficiently, by machines than by humans. More and more processes can be automated and this will likely mean fewer jobs for humans in the long-run. The Intelligence Race is sure to become a defining trend of this century. What concerns me is that our post-modernist world, dominated by the trivialisation of the mass media, the corruption of democracy and the globalisation of self-serving commercialisation, is catapulting humanity into intellectual decline at a time when AI is on the rise. This is one of the main reasons why I’ve become a neo-progressionist. Why let Artificial Intelligence progress at our expense instead of boosting all forms of progress in a wiser, more holistic approach? The 6,000 year journey of civilisation is still in its infancy when measured in time-scales of the cosmos and the biosphere itself and this probably means humanity has nowhere near reached its full potential. Of course, I would much prefer to see human intelligence increasing, not declining, before it’s too late to stop the Intelligence Divide from taking root in the evolution of our history. In May, 1997, the super-computer called Deep Blue defeated world chess champion Gary Kasparov in a chess match. 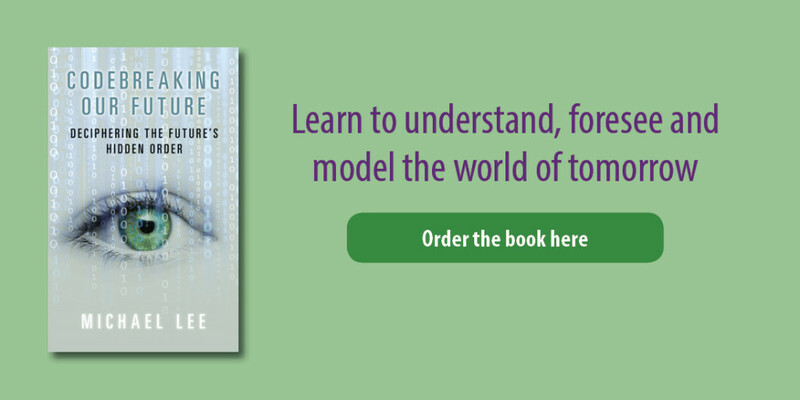 To celebrate the release of Codebreaking our Future by Michael Lee we are offering readers of our blog the chance to win a free subscription to the FutureFinder System for Individuals, which will help you identify future influences you can monitor. While we’re interested in all your theories about the future, however outlandish, this article might help you come up with more reliable predictions. Once you’ve looked at these successful predictions (from Knowing our Future) and the methods behind them, let us know, in 300 words or fewer, using the form below, what your prediction is and how you arrived at your conclusion. Make your own rating of probabilities of possible outcomes based on this causal analysis, and choose pathways and outcomes which have strong probabilities. Closing date is 5 September 2014. The winner will be notified by 19 September and their idea published on this blog and on the Institute of Futurology site. The subscription to the FutureFinder System for Individuals will be shared with the winner who will then be able to use the system without charge. The future of nations is not written in the stars but in their demographics. In particular, a futurist can study national fertility rates, urbanisation trends and the age structure of population groups to get a picture of a country’s long-term future. Remarkable polymath Benjamin Franklin was one of the founding fathers of America and, back in the 1770s, he enjoyed unbridled optimism about the future of his nation, which at the time was still overwhelmingly rural and comparatively “backward”. Why, then, was his prognosis so rosy? America’s birth-rate, he reasoned, was double that of Europe’s. Today, the position in America has been reversed and there are no grounds for any of Franklin’s demographic optimism. Between 1990-2002, the crude birth rate in the US declined by 17%. Similar declines are happening right across the developed and developing world. Before discussing this in more detail, let’s paint in broad brushstrokes the background for understanding the world’s current demographics. The stand-out feature of a general picture of population trends is the astonishing discrepancy between underlying demographics and the current distribution of global power and wealth. It’s this disconnect which highlights the spaces in which the international order is going to shift in the coming decades. One can map international influence against population profiles to highlight this incongruity. Observe in Table 1 that only Africa’s rate of population increase is significantly higher than the rather meagre global average of 1.1% per annum. Populations outside Africa and parts of Asia are just not increasing with any kind of vigour. You will also note that Africa and Asia (including the Middle East) together make up just over 75% of the world’s population at 5,338,048. 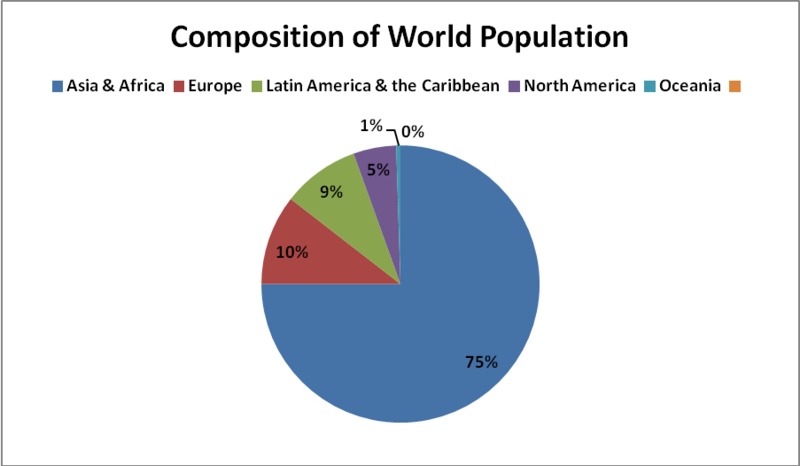 By contrast, Europe makes up 10.5% of the world, Latin America & the Caribbean 9%, North America 5% and Oceania 0.5%. But something is interesting here. There is a complete mismatch between these population sizes and the distribution of global geo-political power today. 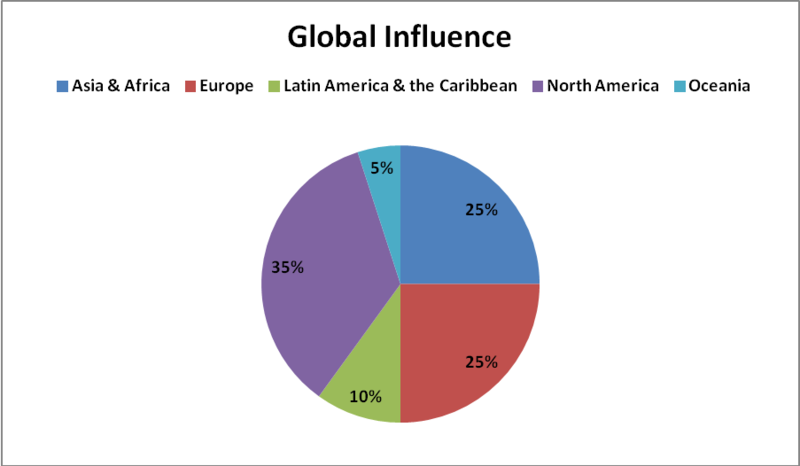 In Figure 1, the dominant powers are North America and Europe, with 35% and 25% of global influence respectively. Next comes Africa and Asia together providing approximately 25% of the influence, Latin America & the Caribbean a further 10% and Oceania fighting above its demographic weight division at 5%. Now, let’s turn to underlying population sizes for a completely different picture. North America, with 35% of the influence, has 5% of the global population. Europe, with 25% of the influence, has 10.5% of the population. Africa and Asia, with only 25% of the influence, have 75% of the population. Latin America & the Caribbean have 10% of the influence and 9% of the population. And Oceania has 5% of the influence but only 0.5% of the population. This skewed distribution of power is bound to change on a large scale throughout this century. Population sizes indicate the potential magnitude of an economy and its markets, in the sense that its citizens are the producers, the consumers and the tax payers. Of course, urbanisation and development levels have to be factored in, too, as do resources. In addition, the age structure of the population, whether it is young and growing or ageing and declining, is a key consideration. Crudely, though, the following mapping of global influence over population size provides a context for speculation on future shifts of influence, highlighting from which regions they are most likely to come. These differentials show the conditions for extensive changes of power in the coming decades. It’s an X-ray of a future changing international order. The size of potential new and extended markets in these CIA regions is vast and there is likely going to be an increasing wealth base and growing influence across these regions. I regard demographics as one of the most impressive of all the social sciences. This discipline largely deals with real, socially significant population data. Its figures are squarely based on facts. This allows for robust, evidence-based reasoning. With demographics, we’re looking into a radar of the future. Which brings me to a disturbing reality I wish to share with you today. Like the inferences made from the data in Table 2, this fact may appear, at first glance, to be counter-intuitive. I referred earlier in looking at Table 1 to the meagre global rates of annual population increases this century. Birth-rates are falling all over the world in deeply entrenched trends rooted in the very nature of modern society. A human depopulation time bomb is ticking. Human population growth is decreasing at a rate which will imperil the global economy, destabilise some societies and ultimately threaten humanity’s prospects for survival. Longman is warning us that population growth for humanity is likely to turn negative around mid-century. This means the world’s total population size would start to decrease in absolute terms. If such a trend ever became irreversible, it would eventually lead to the extinction of the human race. 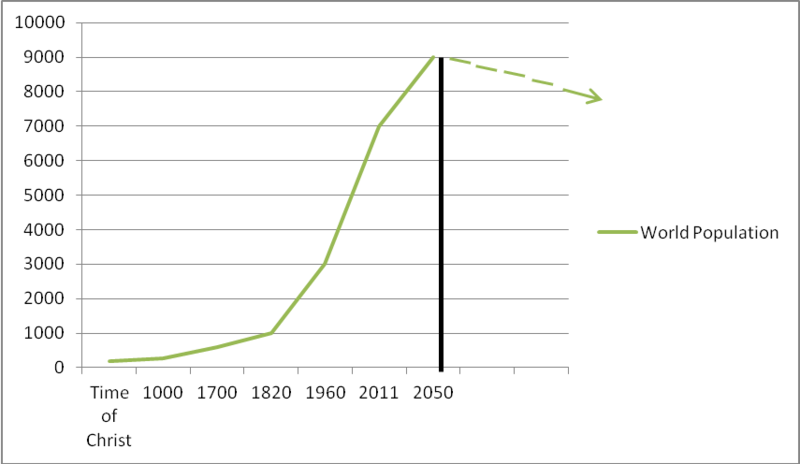 Figure 3 indicates that the total human population may peak in 2050 at nine billion and thereafter decline year after year, decade after decade, generation after generation. It’s not a comforting thought that Population Peak for the human race is probably just up ahead of us. Shrinking nations and families conjure up nightmarish scenarios of a declining world population. If sub-replacement fertility rates across the world continue compounding century after century, it’s a mathematical certainty that the human race will one day become extinct. The core fact is that global fertility rates are half what they were in 1972. This is disconcerting given that fertility rates are what keep the human race reproducing itself. The fall in global fertility is the key global problem to address in this century. The world’s population growth rate has fallen from 2% p.a. in the late 1960s to just over 1% today, and is predicted to slow further to 0.7% by 2030 and then 0.4% by 2050. 62 countries, making up almost half the world’s population, now have fertility rates at, or below, the replacement rate of 2.1, including most of the industrial world and Asian powers like China, Taiwan and South Korea. It’s the scale of the depopulation problem that is daunting. Longman explains: “All told, some 59 countries, comprising roughly 44 percent of the world’s total population, are currently not producing enough children to avoid population decline, and the phenomenon continues to spread. By 2050, according to the latest United Nations projections, 75 percent of all countries, even in underdeveloped regions, will be reproducing at below-replacement levels.” Consequently, he’s expecting the world population to peak around 2050. A silent demographic revolution is happening to our world. And here’s the result for the economy: “The working population of the United States essentially will wind up paying one out of every five dollars it earns just to support retirees, while simultaneously trying to finance more and more years of higher education…”, creating financial disincentives for families to produce many children. In sum, then, there are significant declines in birth-rates right across the world, sometimes well below replacement levels. The depopulation time bomb isn’t science fiction, it’s a matter of demographic fact. The populations of major nations like Japan and Russia are already shrinking in size at worrying rates. Japan, once the 2nd largest economy in the world, is now into its third decade of sluggish growth due to its twin curses of declining population and productivity and population ageing. In desperation, it’s turning to robotics to inject new life into its zombie economy. Similarly, Russia is facing its own depopulation bomb. It’s estimated to lose between 13-35% of its population size in the next four decades. In 1937, Russia had a population of 162 million. This has fallen to 142 million. It’s predicted to fall further to about 80-90 million by mid-century. Between 1937-2050, then, the country’s population size could have halved. At a time when it’s once again emerging as an energy giant, its demographics, ironically, are undermining its future prospects. The demographic challenge of halting depopulation will be complicated by the presence of an estimated 14.5 million Muslims in the country which may threaten unity and heighten ethnic tensions within its borders. As a futurist, I have to admit my blood runs cold when I consider such overwhelming and conclusive evidence of humanity losing its appetite to reproduce itself. Longman, P. 2004. The Empty Cradle. New York: Basic Books. Magnus,G. 2009. The Age of Ageing. Singapore: John Wiley & Sons..
UN Demographic yearbook 2012 (63rd Issue), New York: 2013. Longman, The Empty Cradle (2004)7. Magnus, The Age of Ageing (2009) 33. Magnus, The Age of Ageing (2009) 40. Longman, The Empty Cradle (2004) 61. Longman, The Empty Cradle (2004) 177. Longman, The Empty Cradle (2004) 67. Magnus, The Age of Ageing (2009) 158. Longman, The Empty Cradle (2004) 32. Longman, The Empty Cradle (2004) 11. Magnus, The Age of Ageing (2009) xxi-xxii. Longman, The Empty Cradle (2004) 26. Longman, The Empty Cradle (2004) 27. Longman, The Empty Cradle (2004) xiii. Magnus, The Age of Ageing (2009) 114. Longman, The Empty Cradle (2004) 4. Longman, The Empty Cradle (2004) 19. Longman, The Empty Cradle (2004) 22. Longman, The Empty Cradle (2004) 5. Longman states: “A nation’s gross domestic product is literally the sum of its labour force times the average output per worker. Thus, a decline in the number of workers implies a decline in an economy’s growth potential…The European Commission…projects that Europe’s potential growth rate over the next fifty years will fall by 40 percent due to the shrinking size of the European work force.” Longman, The Empty Cradle (2004).41. He further elaborates as follows: “Exploding health and pension costs, along with a shrinking tax base, diminish resources available to households, government, and the private sector for investing in the next generation, even as the need for human capital formation increases. Another reason is rooted in the realities of the life cycle. It’s not just that most technological breakthroughs and entrepreneurial activity tend to come from people in their 20s and 30s…an ageing population will likely become increasingly risk averse….” Longman, The Empty Cradle (2004) 43.